An official of Standard Chartered Bank, Ifeoma Okeagbue, confirmed to the Code of Conduct Tribunal on Thursday that the suspended Chief Justice of Nigeria, Justice Walter Onnoghen, was granted a loan of $500,000 by the bank as of January this year. 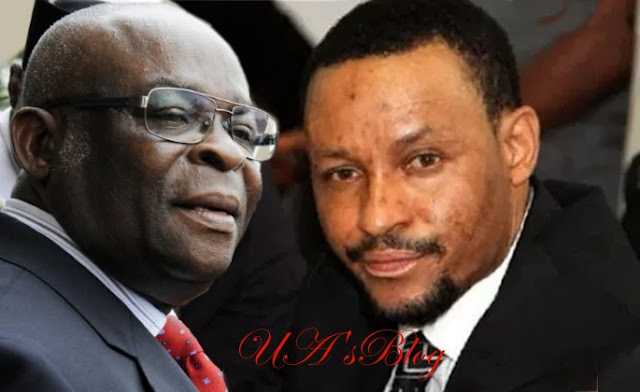 Okeagbue, who was testifying as the third prosecution witness in the ongoing trial of Onnoghen on charges of false and non-declaration of assets, also confirmed that the loan was guaranteed by the suspended CJN’s investments in Federal Government’s bonds and shares, among others. She said this while being cross-examined by the suspended CJN’s lawyer, Chief Adegboyega Awomolo (SAN). Awomolo: The defendant has a facility or loan of $500,000 granted by the bank as of January 2019. Awomolo: The security for the loans is his investments in Federal Government bonds and other investments such as shares. Awomolo: The pound sterling, dollars and euro are domiciliary accounts operated in Nigeria not overseas. Awomolo: The bank encouraged him as a disciplined account holder to invest in some other profit venture. Awomolo: And interests on these investments are credited back to his accounts.